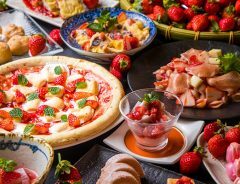 Everyone’s favourite puffy pink hero is returning to Tokyo to fill our stomachs with delicious and adorable treats. 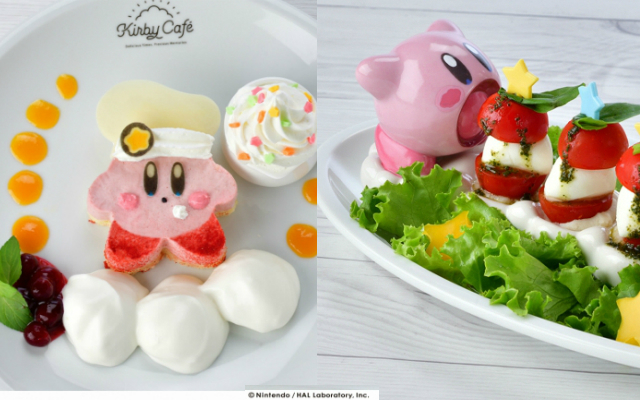 For a limited time only the Kirby Cafe will be opening up in Tokyo Skytree town. 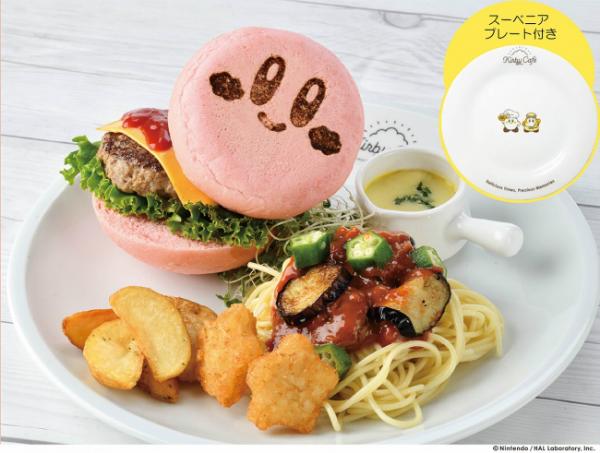 All the dishes and drinks on the menu take inspiration from Nintendo’s Kirby games, creating the characters and motifs in entirely consumable materials. 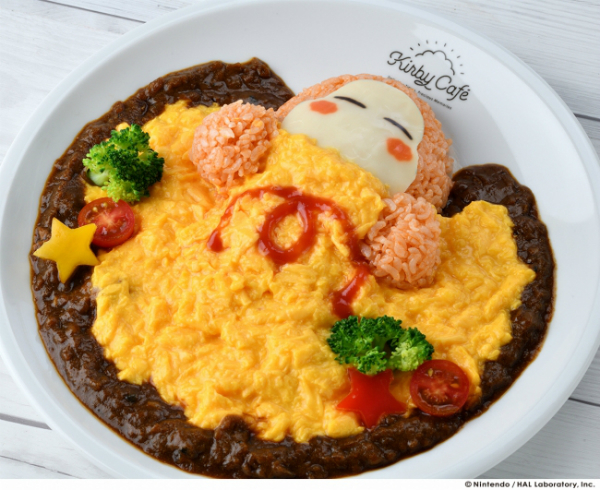 A rice Waddle Dee sleeps soundly under a fluffy egg blanket. 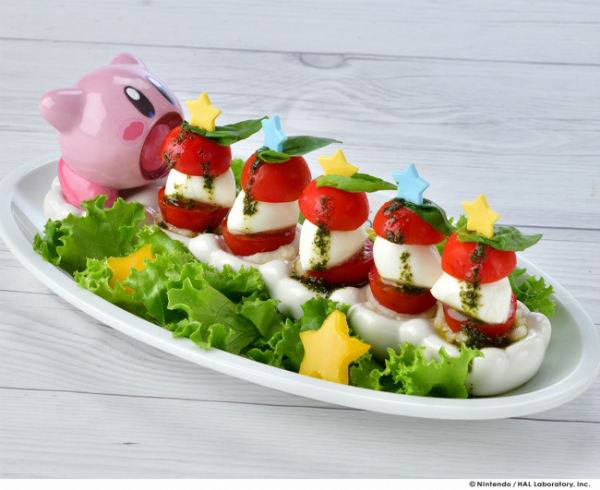 Given Kirby’s ability to inhale his enemies, he’ll make short work of this caprese. 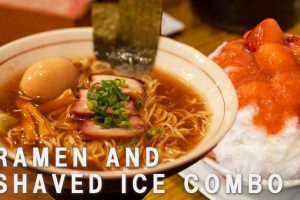 There’s no list of ingredients but we are assured that they are carefully selected. This assurance is somewhat thrown off by the (?) 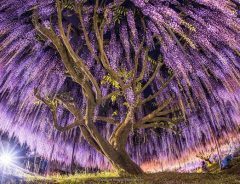 written in the menu. 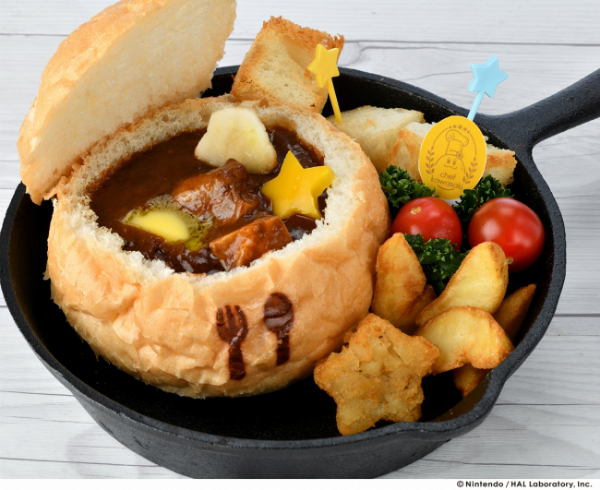 This order comes with a cute illustration souvenir plate. 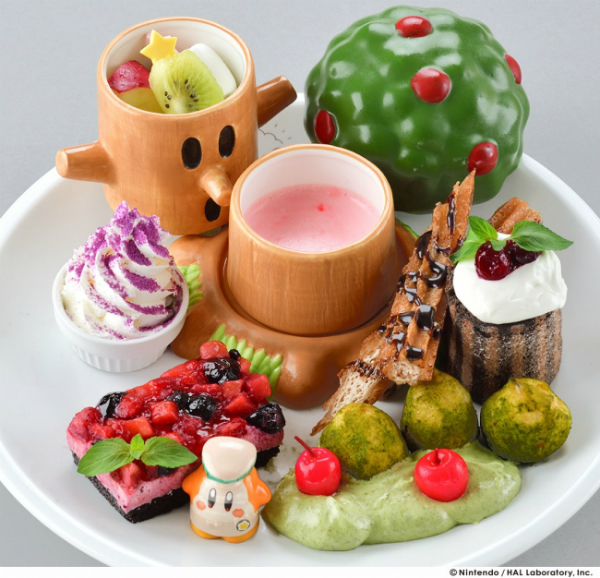 Order this dessert to receive an adorable little ceramic figure of either Kirby or Waddle Dee. 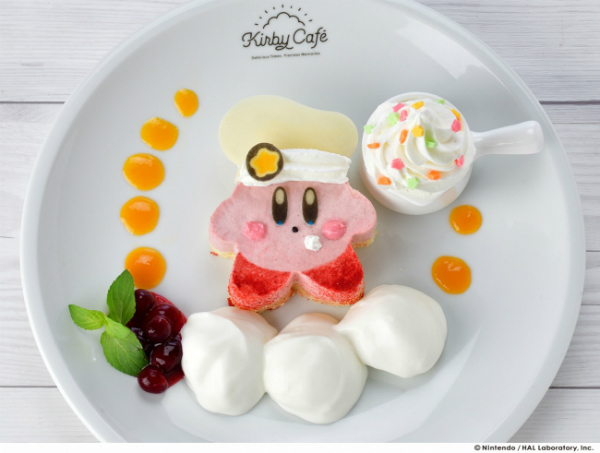 A mousse Kirby is the perfect light dessert. 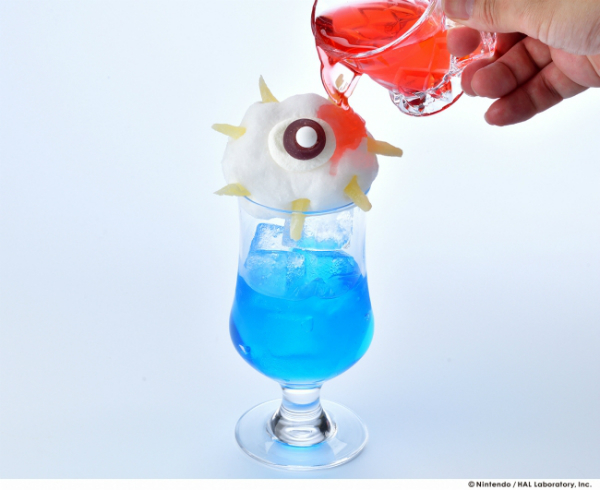 Since the cotton candy Kracko will disappear when you pour the drink over him, it really is a final attack. 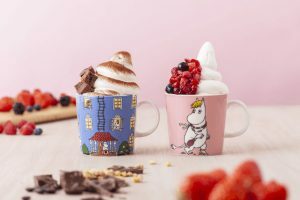 There are two types of this cute beverage available, one showing Kirby poking his head out of the cloud, or one showing him jumping into it the other way. 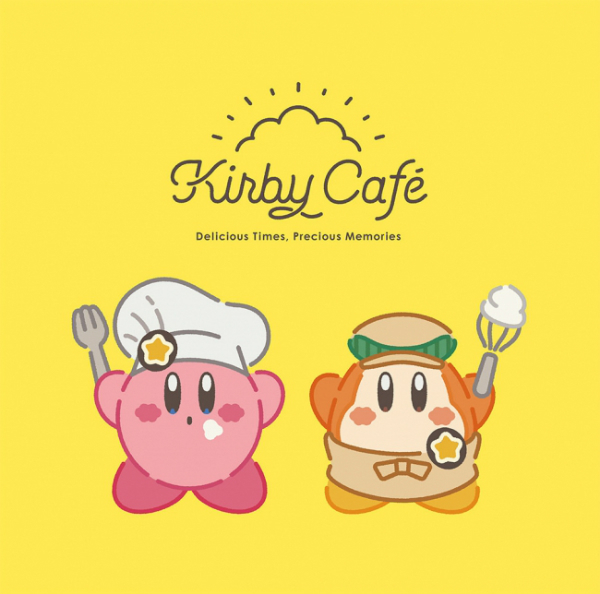 Full menu including prices is available on the Kirby Cafe website (Japanese). 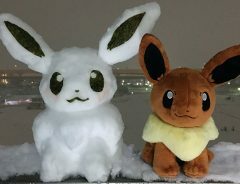 There’s also goods on offer exclusive to the café including plushies. 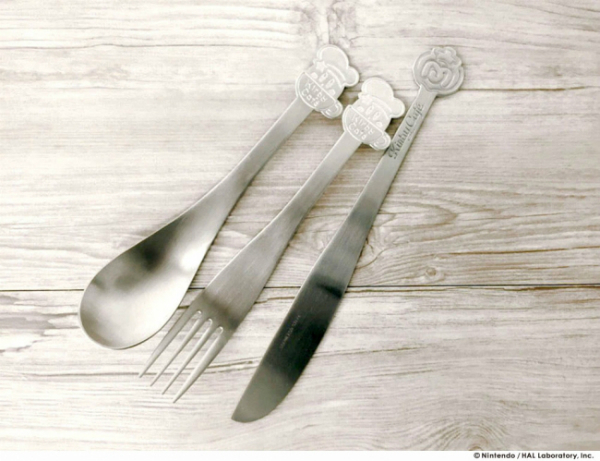 You can even buy the cutlery used at the cafe so every meal becomes a little bit Kirby-fied. 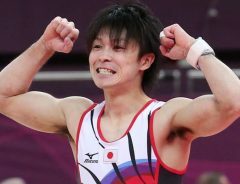 A reservation is required and one can be made online from 6pm on 21st September. 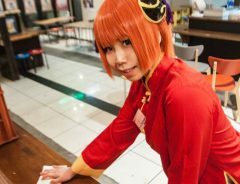 The cafe itself will be open from 27th September to 17th February.